Rounding up this 1 week celebration of EWAM (Yes, I party hard! ), I have decided to talk a bit about one key thing I keep on learning when it comes to being a wedding blog editor: Networking and Relationships. Initially I was going to do a whole post about 12 things I have learned and of course this point was among the 12. But when I got to this, the post kind of took a whole different turn and I figured I’d just focus on just this one point. 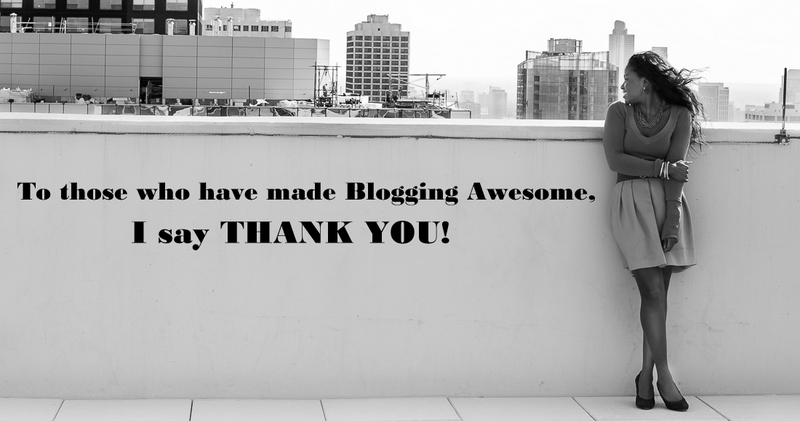 Today, I want to highlight 6 wedding bloggers who have been quite a support system for me. What is cool about this is that they may not even know this! (I wish I can capture their faces when they see their names here!) But somehow these 6 have managed to pass across this “you are not in this alone” warm and fuzzy feeling that in this one year of blogging I have come to really appreciate. You would think that since there are so many bloggers out there it can’t be a lonely world, well you got that wrong. The “normal” human nature is to snob everyone in your lane and keep on moving till you get to the top (no networking, no mentoring, no relationships to helps others, just you, you and you). But what I am taught is that there is enough space at the top for us all and truthfully in really subtle ways these bloggers have reinforced on that message. So without further ado let me introduce you to some of these wonderful ladies! 1. Danielle of Chic Brown Bride: Danielle and I have pretty much become those two that chat everyday. It’s either we are talking about becoming better bloggers or just about random daily stuff. She is not a bride or a bride to be however, she is a strong wedding enthusiast set out to inspire Brides of Color. 2. Ink of Bella Naija Weddings: I think we had an Instagram connection and the rest just became history! Ink was introduced to the world of sweetheart necklines, empire waists & 50 shades of white (Lol yes white) in 2011, when she went wedding shopping with my sister. She is passionate about all things pretty – that’s why wedding blogging comes easy to her. Also Ink is most passionate about showing beauty from her country (Nigeria) & continent (Africa). 3. Sukey of Dress for The Wedding: On a number of occasions, I have made so much noise about how awesome I think the idea of this blog is. Just in case you did not notice, Dress for the Wedding was the Inspiration behind EWAM’s “A Wedding Look” session on the blog. Ever since I discovered her blog it is almost like my number one go to daily reads. Dress For The Wedding is a wedding styling blog that features attire ideas for weddings through shoppable posts and collages. 4. Sayo of Wedding Feferity: Doesn’t the blog name make you giggle to say the least? Sayo and her blog are both one of my latest finds and really just a breath of fresh air. Starting from the blog design to the content and finally to her in person, it’s all just lovable! She is very passionate about improving the way Nigerian Weddings are planned and celebrating their culture. 5. Stephanie of Fab You Bliss: Stephanie I think was a Google find, one of those people I literally stumbled upon and I just couldn’t get back up. Her blog is a daily wedding and lifestyle blog focusing on all things pretty, crafty, and stylish. With her background in photography, it was a natural progression that led Stephanie to create Fab You Bliss. 6. Sara of Burnett Boards: In my head she is the “Tell it as it is” lady. I honestly think that is what I love most about her blog; the ooze of honesty that comes with her posts. All the way from Hawaii, Sara’s blog which started as a hobby in March of 2012 and has grown into a nationally regarded and widely recognized bridal inspiration site since. Thanks to all who have been a part of celebrating EWAM’s first year, you all rock excessively, from the vendors to the brides, fellow bloggers and even just curious bees, you all rock!